Uncover your greatest opportunities for sales growth. Most leaders know there is huge untapped revenue growth potential in their sales organization. However, structuring and organizing for growth, finding and developing the right people, and enabling them to unleash their sales potential is frustratingly elusive. With RAIN Group’s Sales Performance Benchmark Analysis and Plan, we’ll uncover the greatest opportunities for sales growth at your organization and provide you with a roadmap to realize this growth. 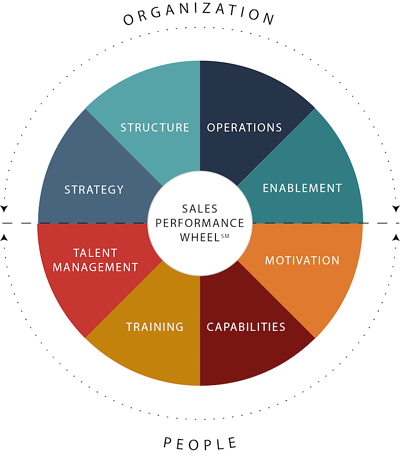 We’ve identified 75 specific factors, organized around the eight drivers in the Sales Performance Wheel, that impact a sales team’s ultimate performance and growth. We’ll analyze your organization in each of these categories and provide specific recommendations on where you need to focus. Download the Sales Performance Benchmark Analysis and Plan overview. is the average proposal win rate of Top Performers. The Rest win only 40% of the time. of Top-Performing Organizations meet their annual sales goals, compared to only 49% of The Rest. of Top Performers believe they are able to capture maximum prices in line with the value they provide. If you want to improve your win rate, meet your annual sales goals, and maximize prices, you need to do what the Top Performers do. In our research, The Top-Performing Sales Organization, we studied 472 sales executives and sellers representing companies with sales forces ranging from 10 sellers to 5,000+. We wanted to know what the Top-Performing Organizations—those with the highest win rates, revenue growth, and sales goal achievement—do differently than The Rest. We analyzed results across the 8 categories of the Sales Performance Wheel. We learned that the Top-Performing Sales Organizations, across all industries and company sizes, are strong in similar areas that have great impact on an organization’s performance. With our Sales Benchmark Analysis and Plan, we’ll compare your organization to this proprietary database and identify where your gaps lie. We’ll analyze the differences and quantify the impact of making improvements in each area to provide you with a roadmap to Top Performance. Our consulting processes and analysis tools are based on decades of experience and proprietary research through the Center for Sales Research, including The Top-Performing Sales Organization, What Sales Winners Do Differently, and Top Performance in Strategic Account Management. 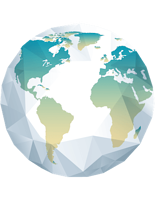 We benchmark your organization against our proprietary database of Top Performers—companies with the highest win rates, sales goal achievement, strategic account growth, and revenue growth. You’ll learn how you stack up and exactly where your gaps lie. We uncover the areas of greatest opportunity for sales growth at your company and provide a plan of action for you to realize these opportunities. With your action plan in hand, you can implement with confidence, knowing you’re focused on the areas that will have the greatest impact. "RAIN Group analyzed our sales organization and opened our eyes to what we need to do and the changes we need to make. The Sales Performance Benchmark Analysis wasn’t just a report, the insight of the team for how to grow our business successfully and where to focus has been invaluable. We’ve had several other consultants in over the years, but RAIN Group’s analysis was the most thorough, clear, and actionable we’ve ever received. They’ve energized our whole leadership team and positioned us for growth." What should you do and where should you invest to get the most out of your sales team? This white paper will help you answer that question. Learn how RAIN Group helped a global engineering firm create a culture of business development and improve sales performance across the board. Benchmark your organization against Top Performers and take the first step to improve sales performance at your organization.